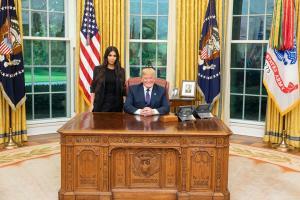 June 14 (UPI) — Reality television star Kim Kardashian said Thursday she’ll push for clemency for more imprisoned non-violent drug offenders like Alice Johnson, who was freed by President Donald Trump last week. In an interview with NBC’s Today, Kardashian met Johnson for the first time since she was released after serving 21 years for non-violent drug and money laundering charges. Johnson, who was sentenced to life in prison in 1997, said she didn’t even know who Kardashian was until the TV star took up her case. Johnson said during the 1990s, she thought hers were only minor crimes. 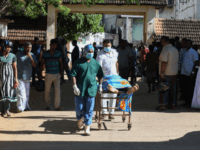 Before she got involved in illegal activity, she said she’d lost her job, went through a divorce, filed for bankruptcy and dealt with the death of her son. In the interview, Kardashian said she’d discussed Johnson’s case with her attorneys for seven months before the 63-year-old grandmother was freed. She said it was a process that took longer than expected. Last month, Kardashian met personally with the president in the Oval Office to discuss prison reform — and plead Johnson’s case. Kardashian said she now plans to advocate for others in Johnson’s former situation, and has already forwarded several other cases to the White House for review. “This is like, ‘OK, we did this,’” she said. “Let’s open up this conversation. Trump has indicated he will grant clemency to others. He pardoned former boxing champion Jack Johnson and said he’s mulling one for Muhammad Ali. Former Illinois Gov. Rod Blagojevic and professional homemaker Martha Stewart are others he’s mentioned for possible clemency.